Like most dark haired women, I have a slight issue with excess furry bits. Since I hit my mid twenties my body has taken great delight in sprouting hair in places that I don't really want it and thanks to this I am fortunate enough to have a bit of a lady moustache going on. My lady-mo, while maybe unnoticeable to others, is a great source of anxiety for me when applying foundation (the product clings to the little hairs, no matter what the formula) and I can always see it in close-ups of my mouth when I'm photographing lipstick posts. And my eyebrows? Naturally they are thick, wiry and very dark, so when I've been lazy on the brow maintenance front, I feel like people can see my stray stubbly bits from across the road. 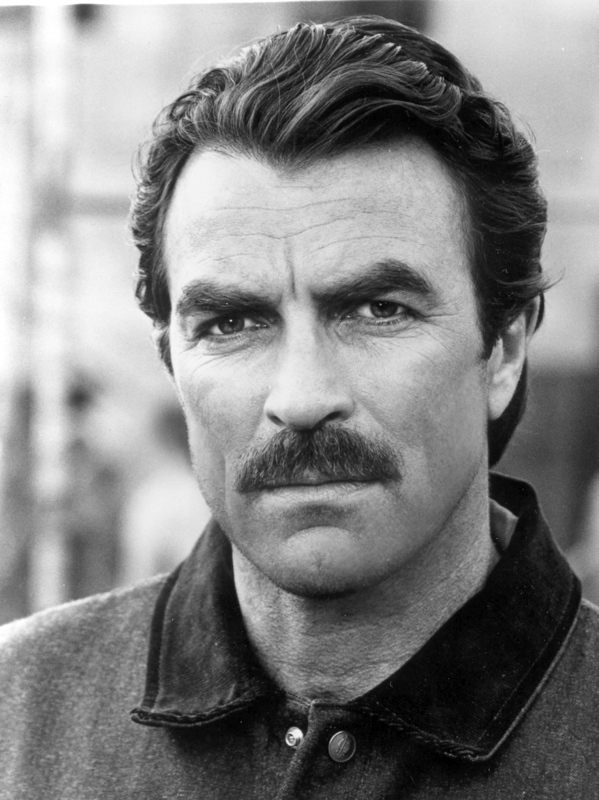 So since I first looked in the mirror and saw Burt Reynolds staring back at me twiddling his ample 'stache, I've been like a woman possessed trying to track down a solution to my facial hair woes. So far, the removal routes I've gone down have left me with burns, rashes and irritation, a massive breakout (thanks Benefit Brow Bar) and even a horrifying incident in which I managed to wax of half an eyebrow and my first few layers of skin at once. Ouch. But it's not all been doom and gloom in my mission for facial hair removal and today I wanted to share my go-to home waxing product that has secured a spot in my beauty regime. 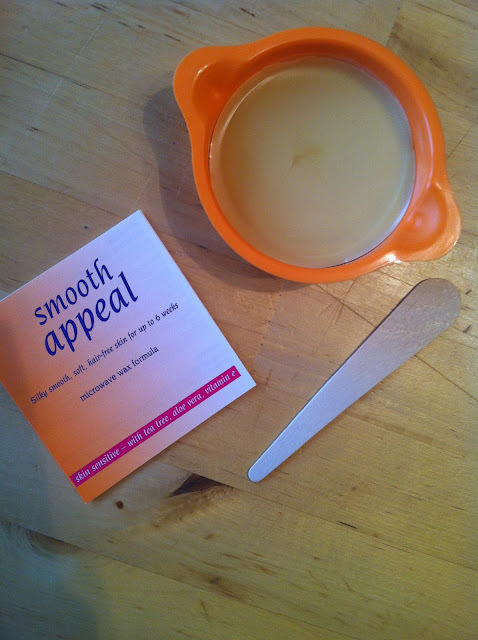 Smooth Appeal Microwave Formula Facial Hair Remover Wax. Smooth Appeal is appealing indeed thanks to its effective yet gentle formula that includes Aloe Vera, Vitamin E and Tea Tree extracts. 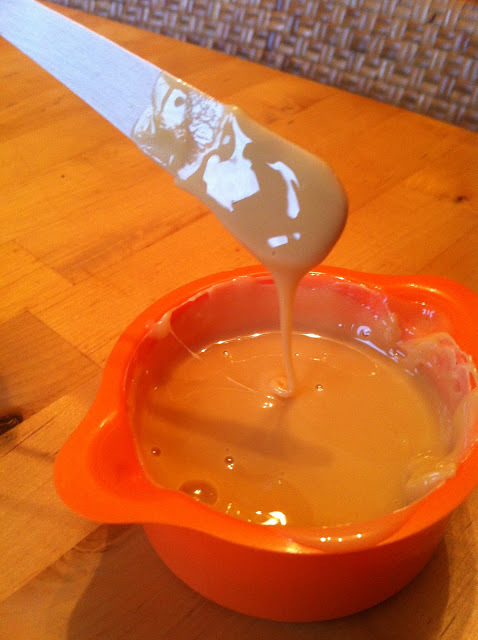 The microwave wax is easily malleable and spreads precisely onto hard to navigate areas such as the eyebrows. The spatula is teeny enough for applying wax only to areas that you want hair-free, unlike pre-waxed strips that can be a little tricky for using to gain the perfect arch. The real selling point of this wax for me is that it's strip free, therefore less messy and in my opinion, much easier to use! The trick with this stuff is to warm it to the right consistency before you use it - it should look like thick honey rather than molten lava. When it's at the right temperature (bath water hot) you simply spread a thin layer on, leave to set until it's slightly hardened then peel it off quickly. Any excess wax is easily removed with a little bit of oil (don't use essential oil because it might cause irritation) and the skin is left smooth with very little redness. This is the best at-home waxing product I've come across so far and from looking at the Boots website, it seems a lot of other women are singing its praises. 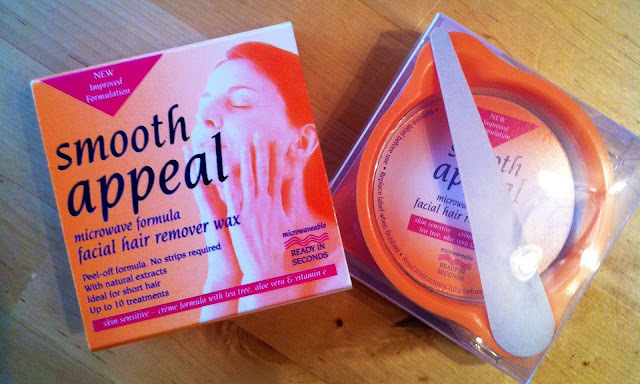 You can find Smooth Appeal microwave formula at Boots for £5.69 which isn't bad considering one pot contains about ten facial waxing treatments. Have you tried this wax? What's your go-to hair removal product? Love the honesty of this post !